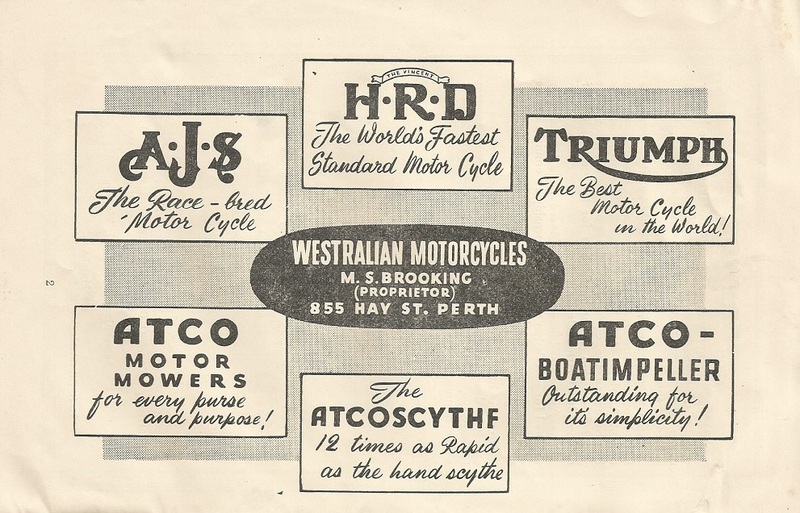 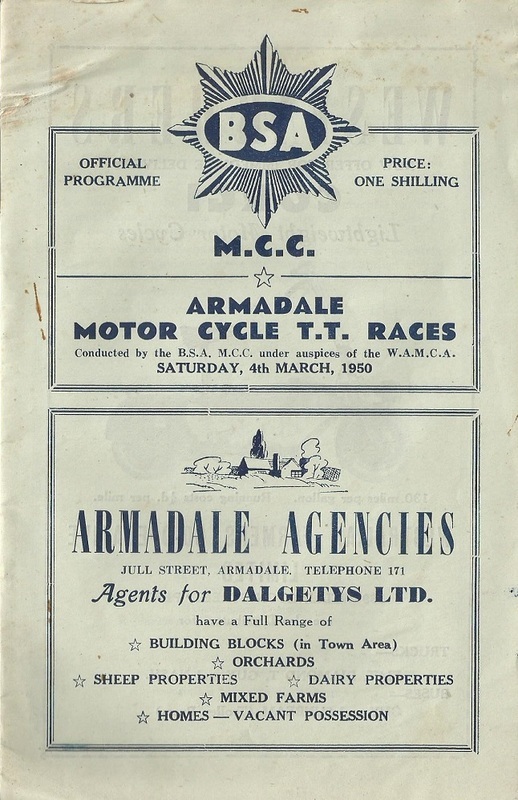 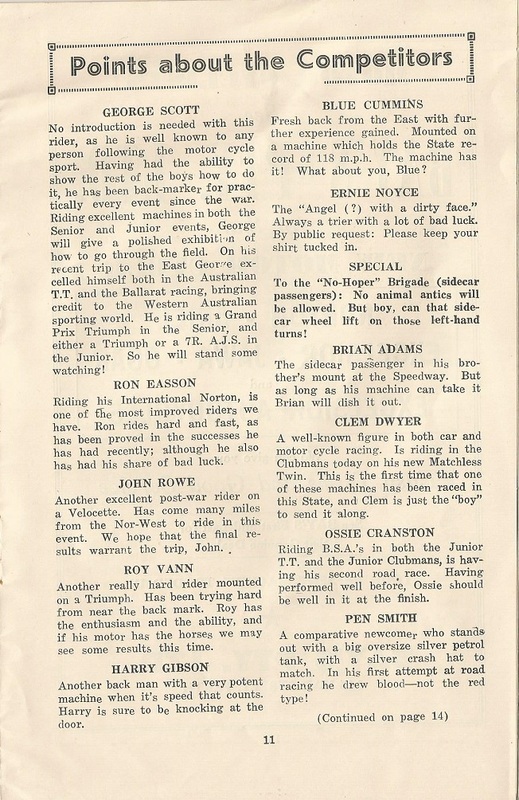 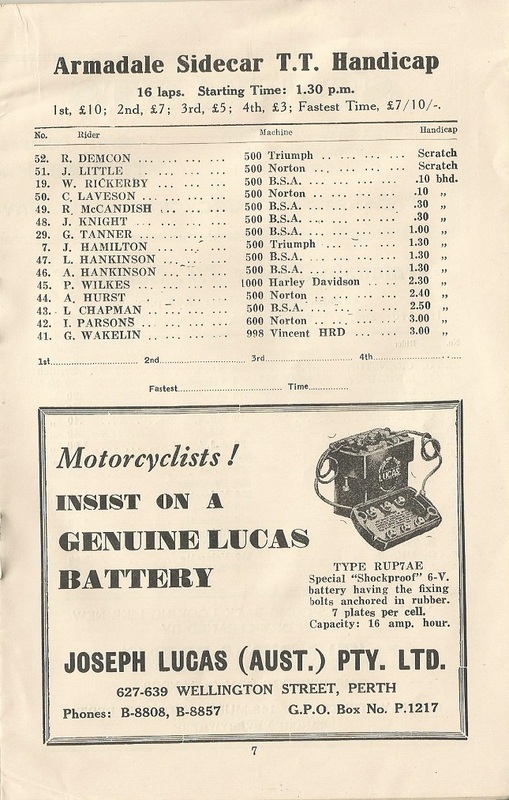 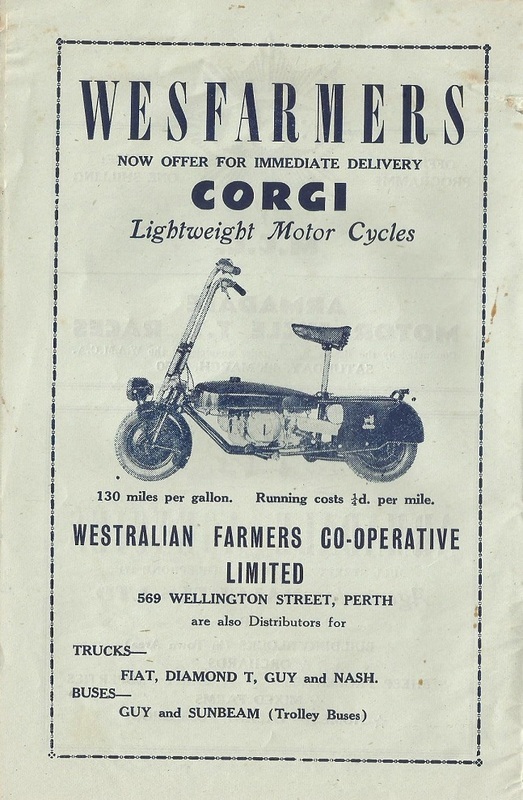 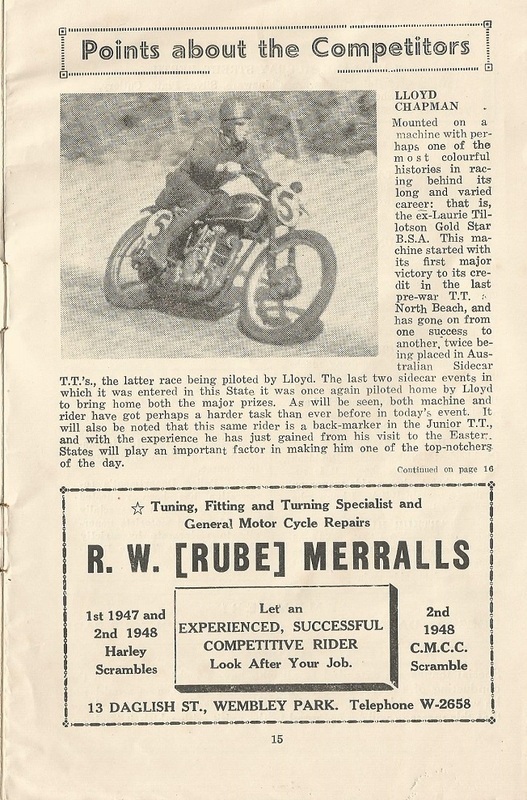 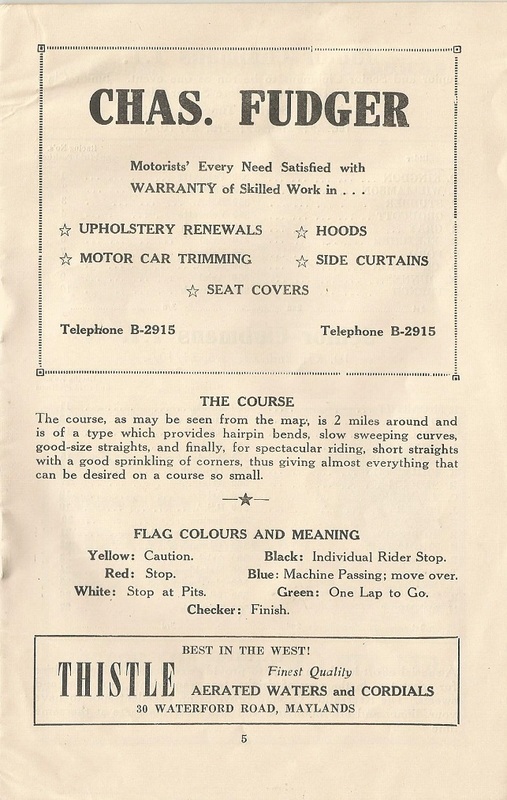 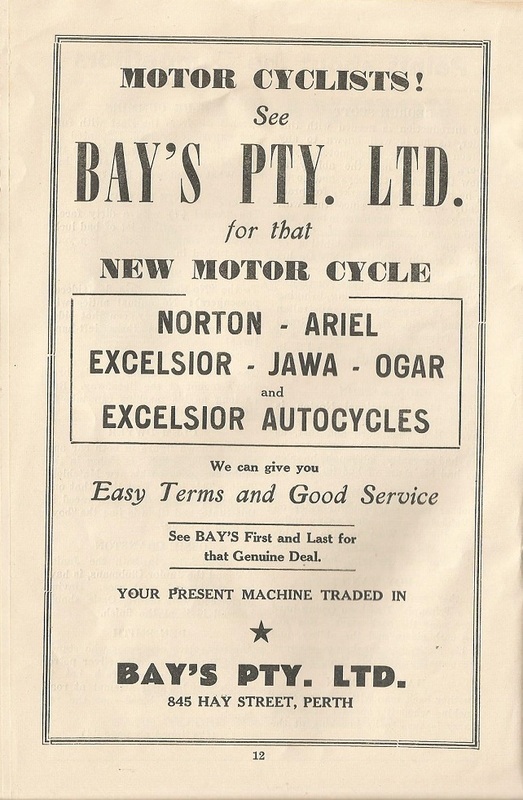 The BSA Motorcycle club held a motorcycle racing event around the streets of central Armadale on the 4th of March 1950, This was the first time that such an event has been held in Armadale. 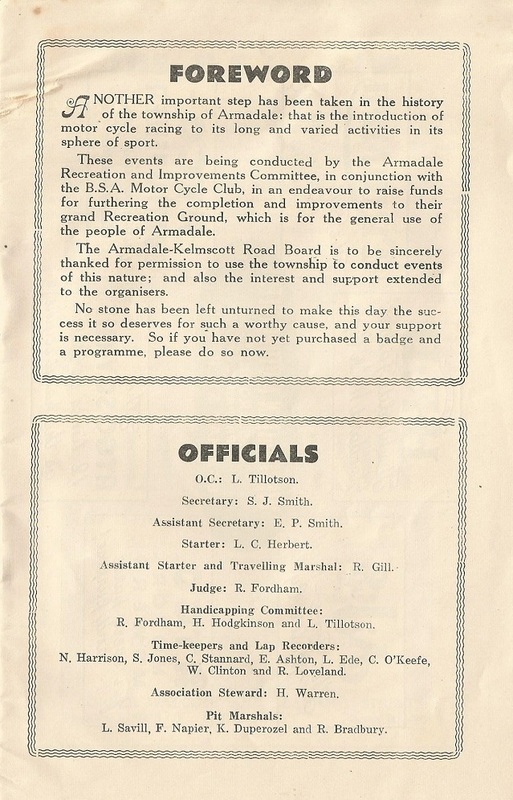 This would be the one and only event ever held on the Armadale circuit even though more racing had been planned. 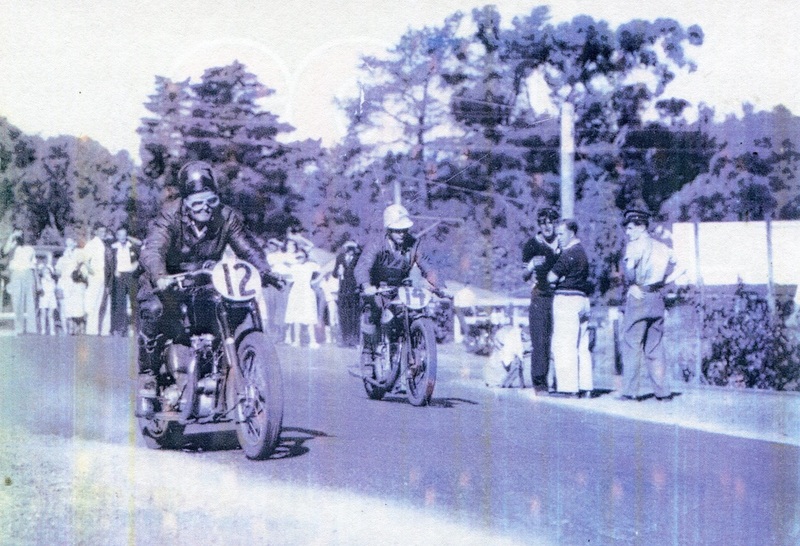 1950 Ross Payne the Bunbury boy #12 representing his town blasts past R Crackel on the #14 machine. 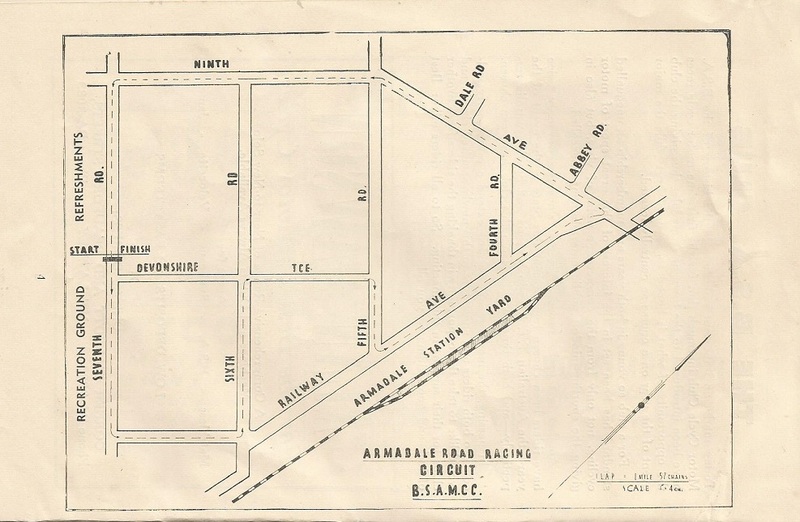 Motorcycle racing in Armadale was loosing an uphill battle with the Armadale Roads Board, Although the board had agreed in principal to more race meetings, they did however request that a new course be used not so close to the town centre. 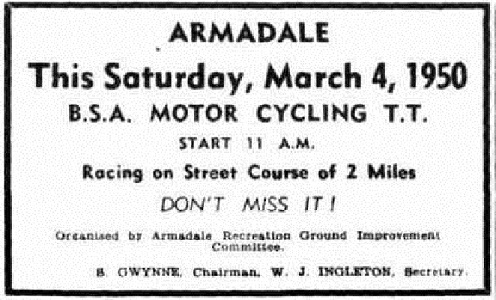 This would bring an end to racing in Armadale. 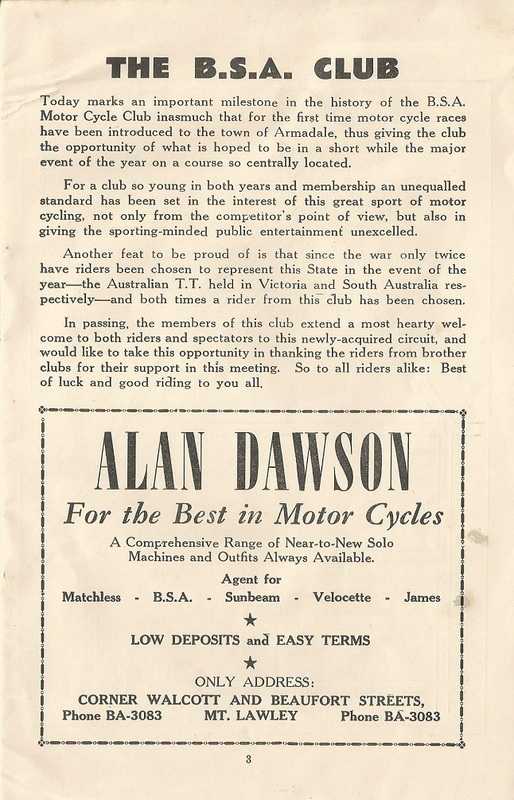 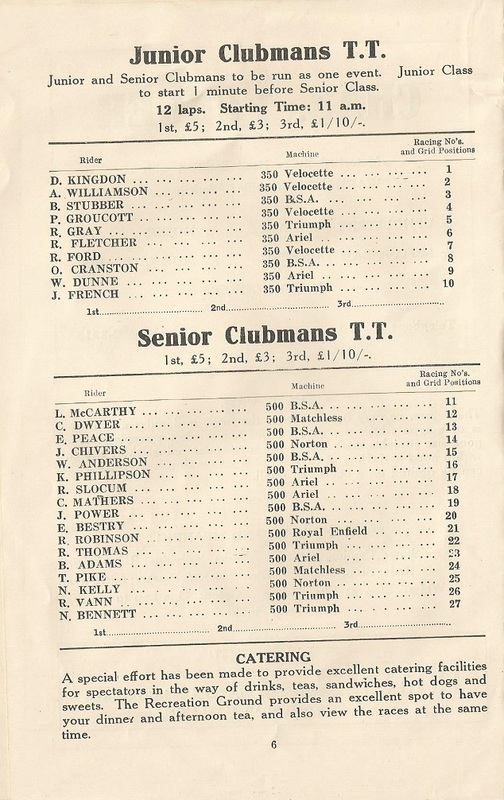 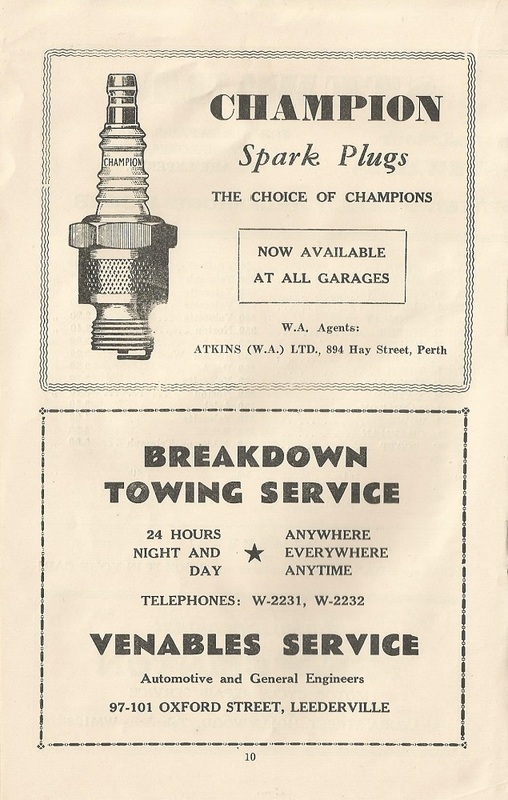 After failing to stage an event in 1951 focus was shifted to Kalamunda for the 1952 event.